It is simply wonderful to find that the Docker’s Guild album is still getting some love around the globe. click here to read the Rocktopia review. click here to read the Let it Rock review. 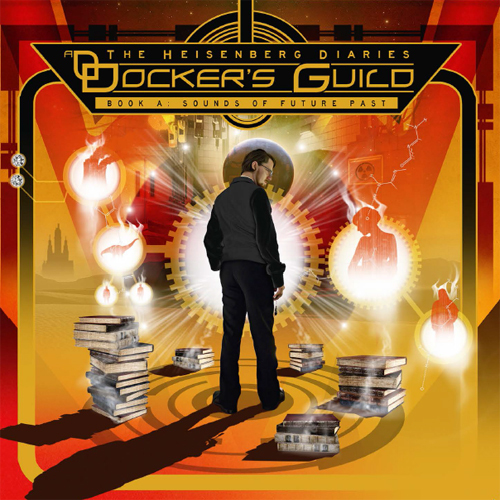 Docker’s Guild and The Heisenberg Diaries is not just a tribute to those times, it is an incredibly enjoyable album packed with cinematic moments of musical fun and magical rocked up moments of genius, the geek is indeed strong in this one. 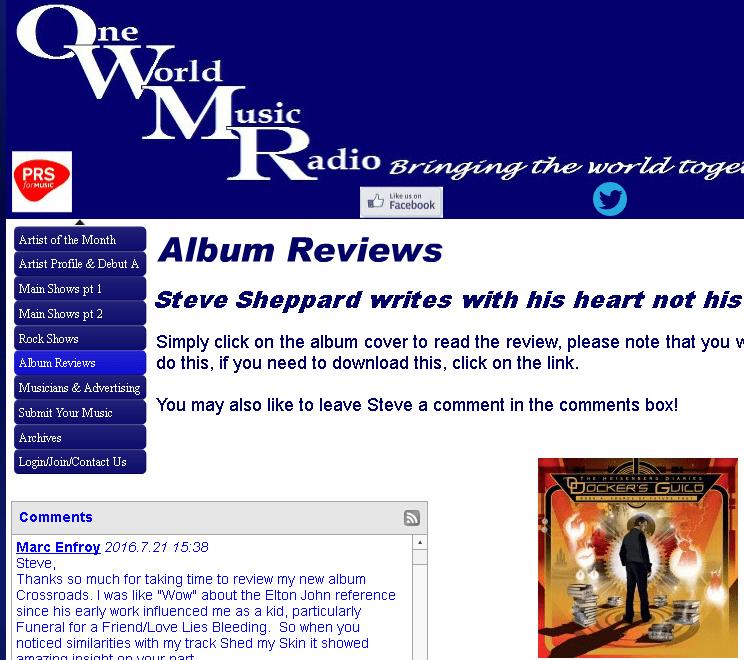 Wow, many compliments, thank you so much Steve! And here is video 3 for the Docker’s Guild diary for The Heisenberg Diaries – Book A: mixing! 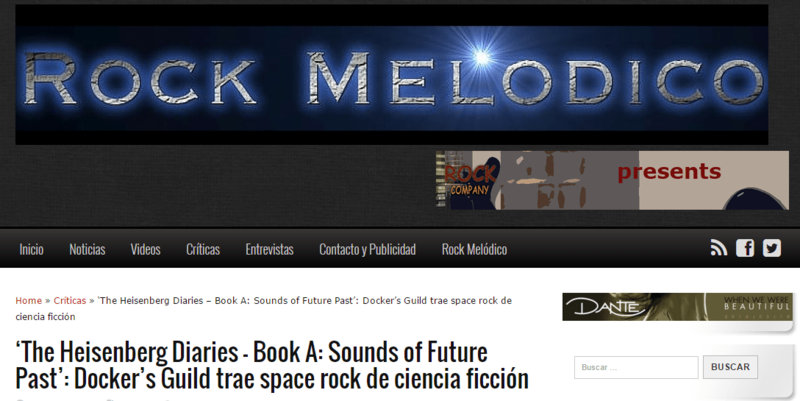 While many reviewers continue to celebrate the release of “Docker’s Guild – The Heisenberg Diaries Book A; Sounds Of Future Past”, Douglas has been hard at work to put together a string of videos to give you a deeper insight in the making of the album. Already available are part 1 and part 2, and more on their way. Go to the DG channel on Youtube and subscribe to keep yourself informed! An extensive interview with Douglas can be found here. And in case you missed it, a new video trailer has been uploaded for you to watch. Learn all about Jack Heisenberg and his diary, linking Season 1 and Season 2! Douglas R. Docker handles vocals/keyboards and guests include Amanda Somerville, Nita Strauss (Alice Cooper), Roxy Petrucci (Vixen/Madame X) and Anna Portalupi (Tarja Turunen/Hardline). Frontiers Records ‘go to’ producer/songwriter Alessandro Del Vecchio helped co-produce and mix the album. So what of the music? Well safe to say Docker’s Guild remain true to the original themes, adding in their own styling here and there. There is a fantastic Queen ‘Flash’ medley, entitled the ‘Flash Gordon Suite’. Sounds like a cross between Ayreon meets Queen and only the film clips are missing. Amanda Somerville sings the vocal on ‘Hero’ and she puts in a great performance on the less famous of the two vocal songs on the original ‘Flash Gordon’ soundtrack album. Elsewhere the highlights come thick and fast, be it the ‘Doctor Who’ theme or ‘Red Dwarf’, which includes the full vocal of the theme tune. This one oozes fun through the music and vocal performance. Elize Ryd adds her impressive vocals to ‘The Never Ending Story’, another fine version performed by the Docker’s Guild. Thank you Jason! Read the full article here. It is official now; Rock Company will be releasing the next Docker’s Guild album on CD! It is called The Heisenberg Diaries Book A, Sounds Of Future Past and is album 2 out of a planned series of no less than 9… Just imagine the thought process behind that, let alone the logistics. This will kick @ss in 2016! Expect the digital release late January through Lion Music, and the release on CD will follow late February and will be handled in cooperation with Black Swan Records. Distribution worldwide!